Written and edited by experts in the field, this collection from Cold Spring Harbor Perspectives in Medicine explores recent developments in our understanding of malaria biology and their potential to influence malaria elimination/eradication strategies. The authors describe recent developments in their respective research areas and suggest both how these insights could guide intervention strategy and where critical knowledge gaps remain. Contributors discuss the unique features and challenges presented at key stages of the malaria life cycle and by different Plasmodium species, malaria transmission and its interruption, the challenge of drug resistance, the future of malaria vaccine strategies, epigenetic regulation of malaria-associated genes, and new approaches in malaria research, including genomics and modeling. They describe complex interactions of the malaria parasite with the human host, including disease pathogenesis, immune responses, and malaria in pregnancy. They also explore critical developments in vector biology, control, and insecticide resistance and in vectorâ€“parasite interactions, including the relationship between mosquito reproduction and parasite development. The current state of each of these fields, their potential for impact on malaria elimination strategy and critical knowledge gaps, and next steps to achieve this are discussed. This volume is therefore a valuable reference for all scientists, clinicians, and public health professionals interested in understanding the state-of-the-art of malaria biology research and its critical role in our collective ambition to end this devastating disease. Cold Spring Harbor, NY -- Cold Spring Harbor Laboratory Press (CSHLP) today announced a grant from the J.C. Flowers Foundation (JCFF) to support the free eBook distribution of the research monograph, Malaria: Biology in the Era of Eradication. JCFF funding enables this newly published title to reach scientists, clinicians and care-givers throughout malaria-endemic areas such as Africa, Southeast Asia, and South America. "As malaria is a global health priority that continues to affect millions of people worldwide, there is an urgent need for readily accessible research on the disease, especially when working with 'last mile' communities where it is often logistically or financially difficult to apply current research,"says Chris Flowers, founder of JCFF. â€œWe are pleased to join with Cold Spring Harbor's publishing initiatives to further the efforts to eliminate this disease." 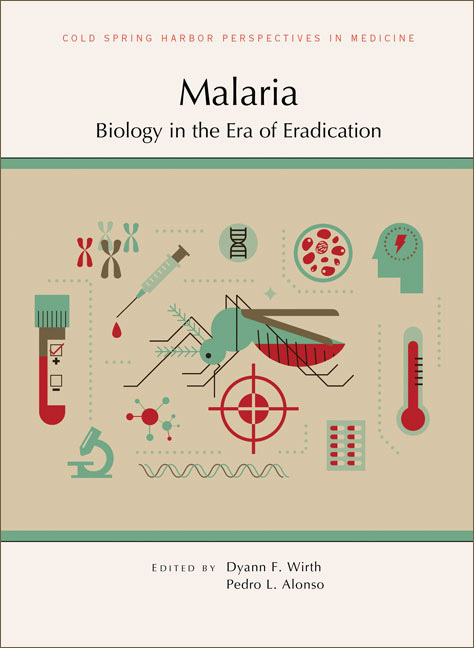 Malaria: Biology in the Era of Eradication is a new, critically important collection of papers edited by Dyann Wirth, Harvard School of Public Health, and Pedro Alonso, Director of the WHO Global Malaria Programme in Geneva, Switzerland. With contributions from more than two dozen scientists worldwide, the book brings together in a single volume the latest advances and emerging strategies in the fight against malaria. The eBook is available at no charge for download and unrestricted sharing via the CSHLP website in an interactive PDF format, which includes links to cited research and additional online resources. â€œThe JCFF's invaluable support is making this important collection available to researchers and clinicians who are most in need of it,"says Dr. John Inglis, Executive Director and Publisher of CSHL Press. â€œCold Spring Harbor Laboratory is grateful to partners such as JCFF for their help in advancing both biological research and the sharing of new knowledge with scientific and medical communities worldwide." The J.C. Flowers Foundation provides these last-mile communities with the financial, technical and operational support needed to achieve their own locally determined solutions. The Foundation brings to the table access to partnerships and advocacy at national and international levels.